We want to know, Who are the people in your neighborhood? Through painting, drawing, photography, collage, mixed media, clay, sculpture…maybe a poem? Community members show us the people they meet each day. 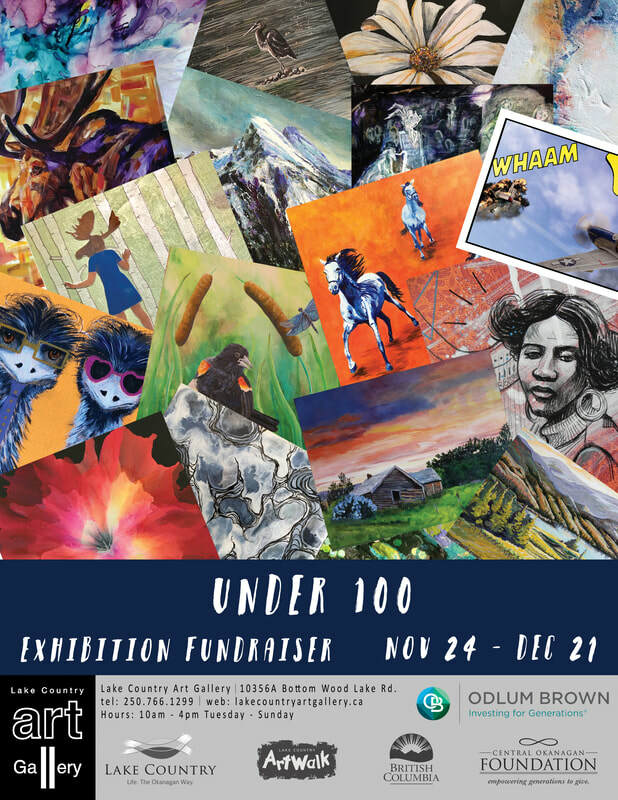 The Lake Country Art Gallery welcomed gallery members and the extended community to submit a piece of work for this community exhibition. 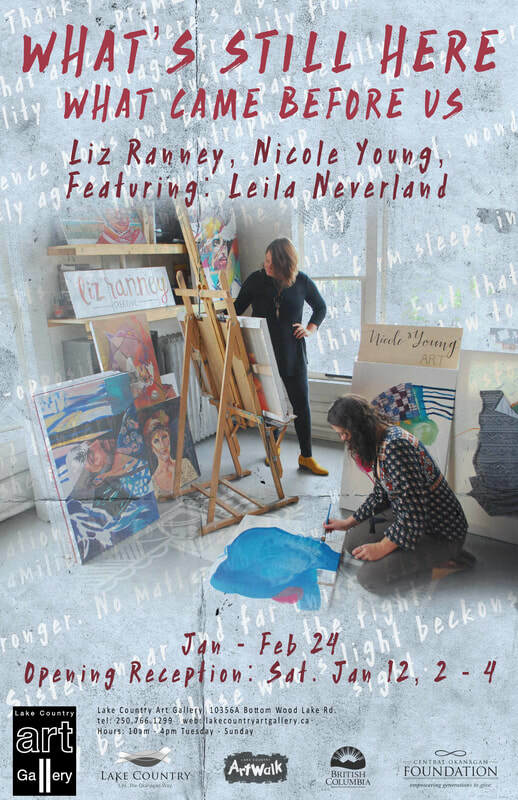 Liz Ranney and Nicole Young’s exhibition What’s Still Here, What Came Before Us is a visual response to the work of poet and musician Leila Neverland. 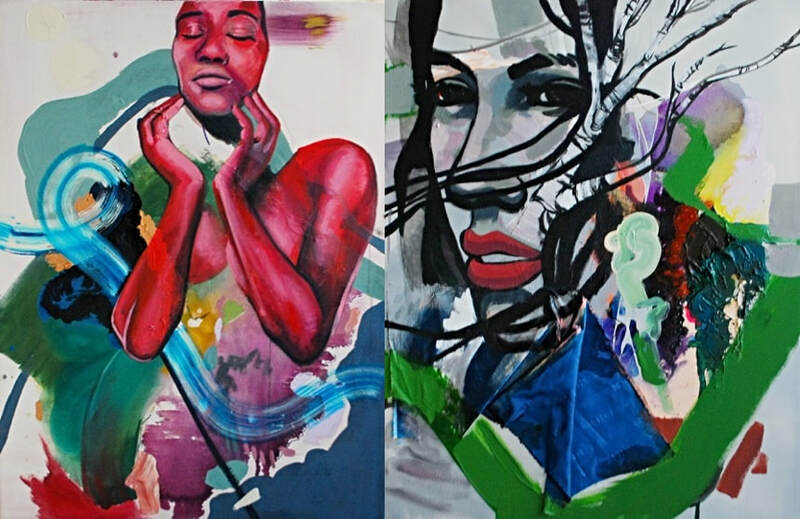 It explores themes of femininity, the environment and collaboration itself. Surfaces were passed back and forth between Liz and Nicole and built up in painted layers to create a reflection on Leila’s lyrics. 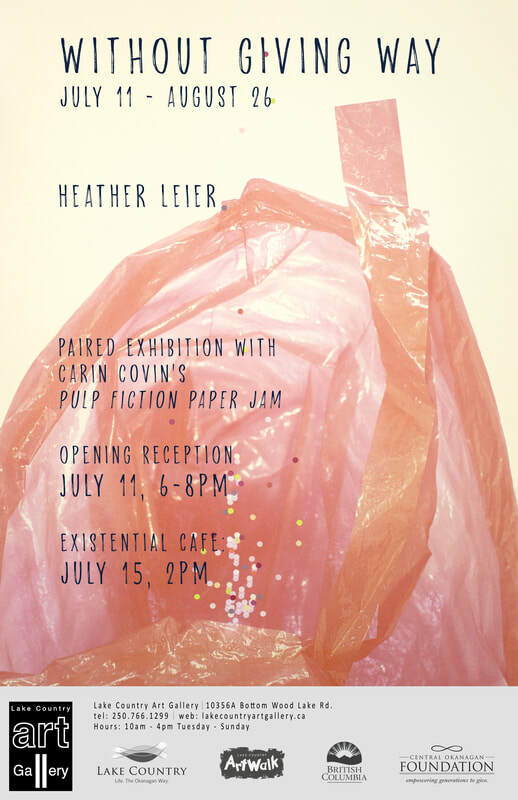 The environment and femininity are topics that both artists explore in their works separately, and the inspiration to create works in the context of Neverland’s writing came from an interest in the collaborative process itself. Would it be hard to relinquish control over these paintings, would each artist’s experience of these lyrics be similar or disparate? This exhibition calls for consideration of how painting and music come together as tools for storytelling, both narratively and of the process of painting itself. Water is life…Through digital arts, drawing, painting and installation, this group of artists will add individual thought and perspective to the subject of water. 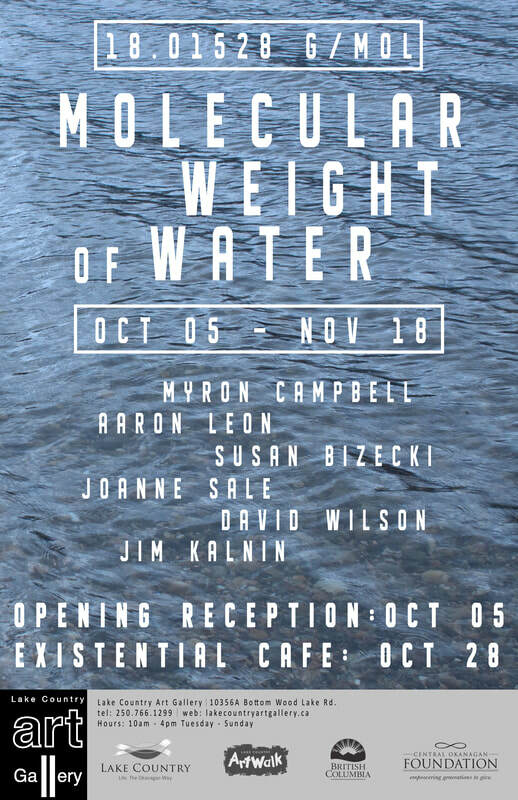 Join us on Friday, October 5th from 6 to 8pm for the opening reception of 18.01528 g/mol (the Molecular Weight of Water). Artists will be in attendance. 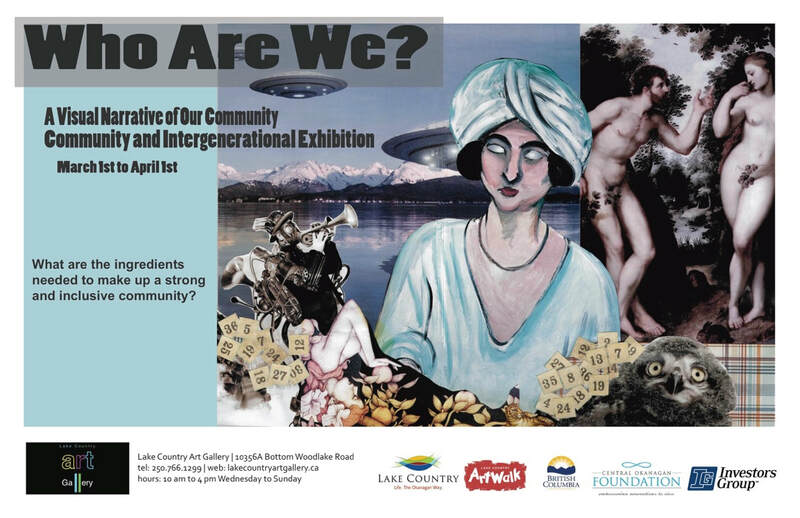 The Lake Country Art Gallery is pleased to bring two exhibitions to the gallery this summer. 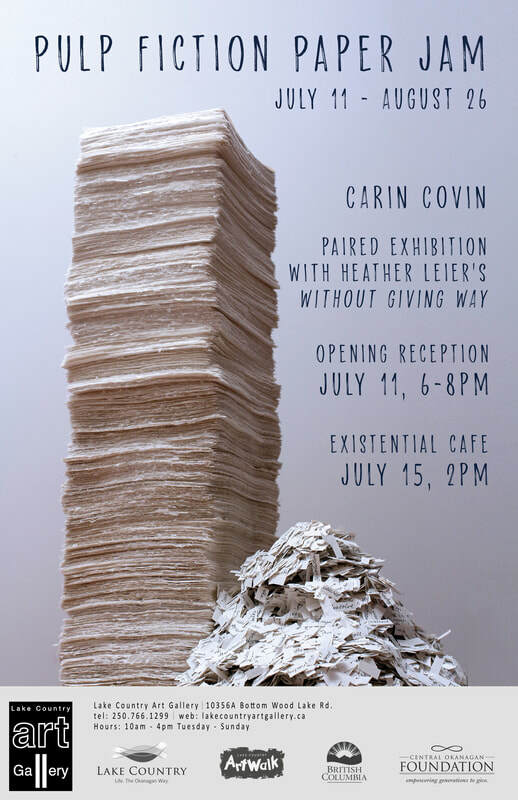 Carin Covin and Heather Leier use drawing, printmaking, and installation to create two individual exhibitions. 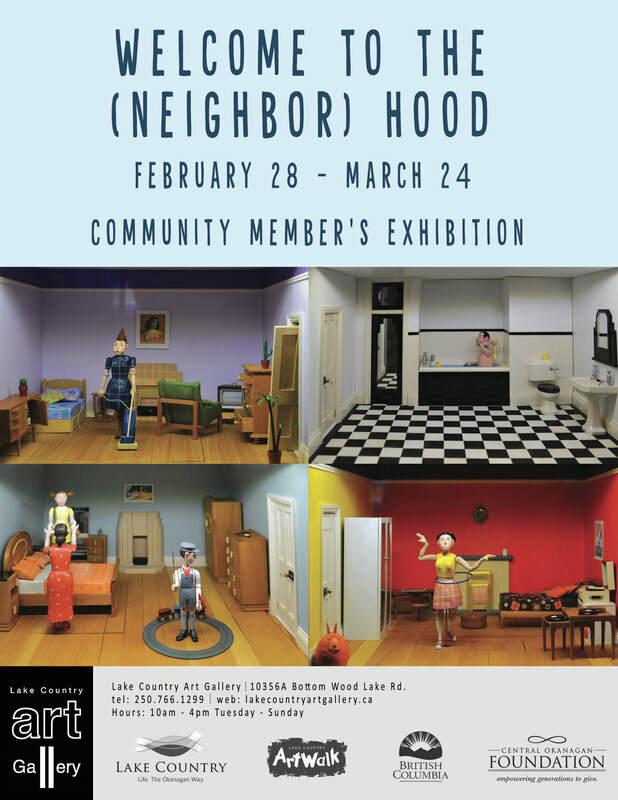 Heather Leier is an artist and Professor soon to be based in Calgary, Alberta as she is currently on the move from Corner Brook, Newfoundland. She completed her BFA from the University of British Columbia in 2012 and received her MFA in Printmaking from the University of Alberta in Edmonton, Alberta in 2016. Leier's work has been exhibited in many international exhibitions including The International Biennial Print Exhibit: ROC at the National Taiwan Museum of Fine Art and 2015 Guanlan International Print Biennial in Guanlan China. 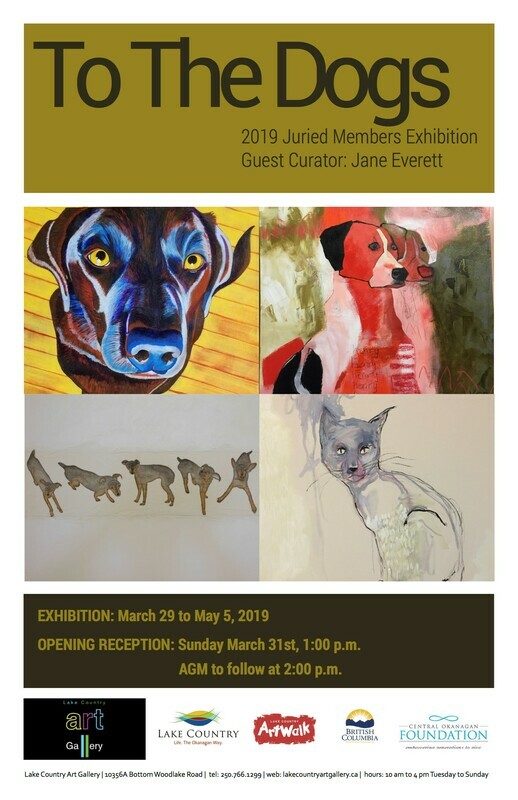 Solo exhibitions of her work have been presented by Martha Street Studio (Winnipeg), The Alternator Centre for Contemporary Art (Kelowna), and the Hudgens Center for Art and Learning (Duluth).